This c.1950s home on a prominent coastal location was completely remodelled and extended to suit our clients requirements for a contemporary family home with lots of natural light, a flexible open plan layout, good storage and increased space. 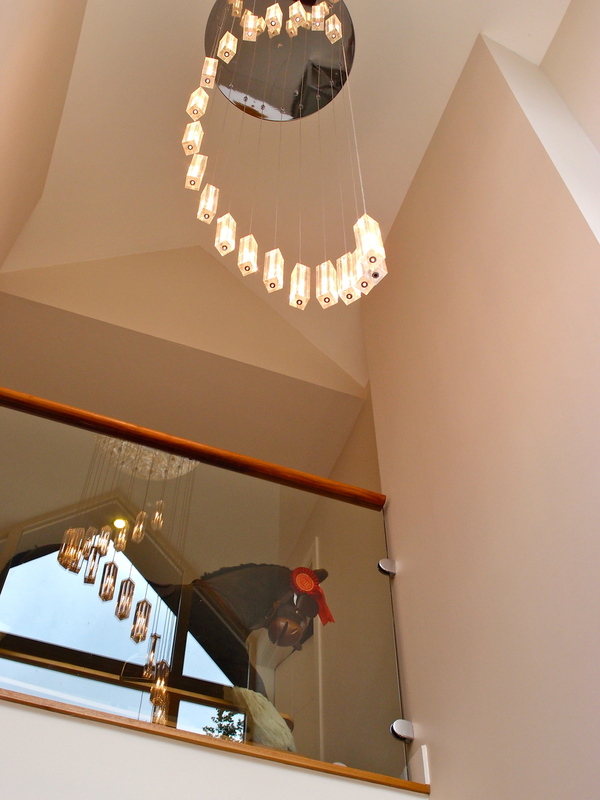 Key interventions included extending the side and rear of the house with single storey and two storey extensions, remodelling the interiors at ground and first floor levels and moving the staircase position to allow a more generous and bright entrance hall. 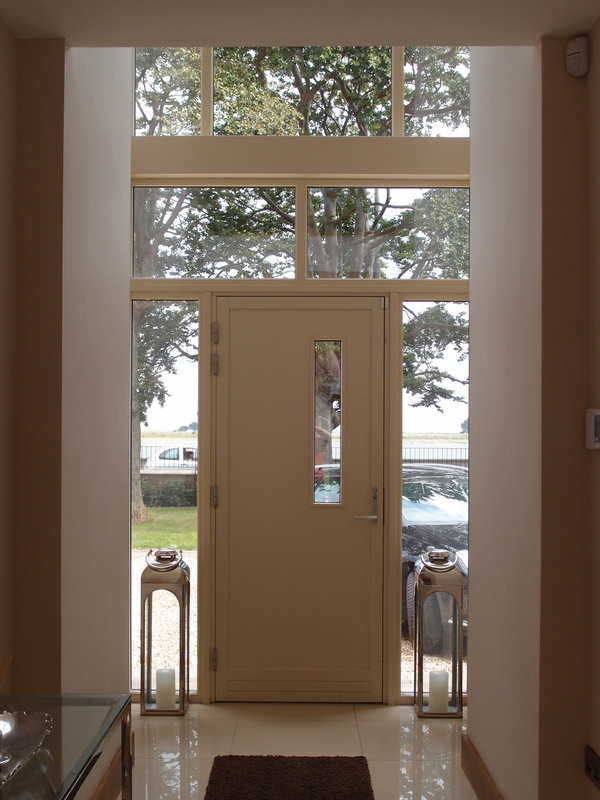 The resulting extended house is bright and well organised, maximising light and sea views. One challenge was to make the front facade of the newly extended house work as an attractive composition, while still fitting in well with the neighbouring properties. 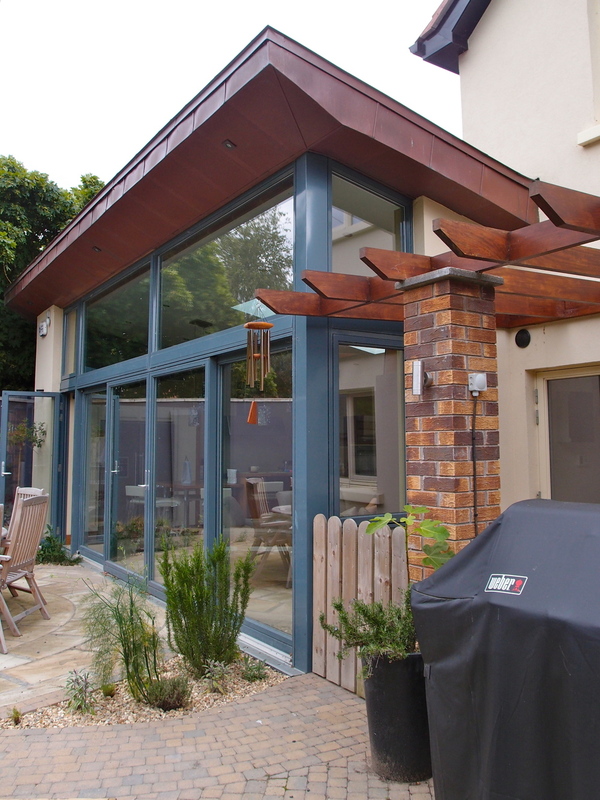 Our solution involved maintaining the original facade and roof line, adding a gable fronted extension to the side, and introducing a double height porch at the entrance to balance it.